Phil Dawson: There 49ers could have gone in a couple of different directions after they parted ways with David Akers. With 13 picks in the draft, they had the option of finding a kicker they thought could come in and have a Blair Walsh or Greg Zuerlein type impact. The other option was signing a vet on a short term deal. The team went with the latter signing ex-Brown Phil Dawson to a 1 year deal. In Dawson, the 49ers get a reliable kicker who is coming off of a career year. Dawson was 29/31 in field goal attempts (93.5%) He was 13/13 from over 40 yards including 7/7 from 50 and out. In contrast, Akers was 29/42 (69%) and only 9/19 from over 40 yards in 2012. In the end, the 49ers may have felt its better to go with a known product when trying to get back to the Super Bowl rather then a rookie with no track record. Colt McCoy: McCoy did not fit into the new regime’s plan in Cleveland and may have ended up being cut by the Browns. Even though, the 49ers giving up a 5th and 7th round pick for McCoy and sixth rounder is a good trade for them. With Alex Smith in Kansas City, the only depth behind Colin Kaepernick is Scott Tolzien. The 49ers have kept Tolzien around for two years so they must see something in him but he’s unproven. McCoy will give San Francisco a back up with some experience who can steer the ship if Kaepernick goes down. But McCoy as the number two quarterback is not a given by any means. The 49ers love competition and he’ll have to beat out Tolzien for the job or there’s a good chance he could be looking for another team come September. 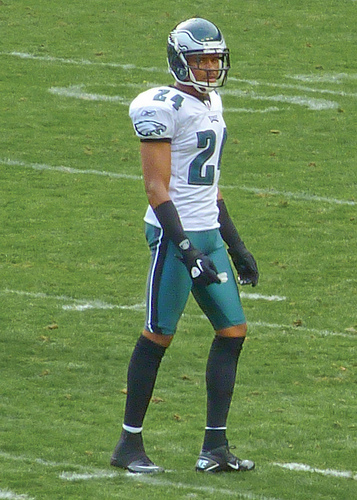 Nnamdi Asomugha: Asomugha signed a 1 year deal worth 1.35 million dollars. He can supposedly more than double that total if he reaches certain incentives in the contract, however, none of the money is guaranteed. Because there are no guarantees, this is a low risk, high reward signing. If the 49ers are wrong, and Asomugha looks washed up in the preseason, they can cut him without losing any money. The move is very similar to what they did last season with Randy Moss. If the 49ers are right, it could give them the big, physical corner they lacked last season. Like McCoy, Asomugha will not be handed a job. He’ll have to complete with Culliver, Brown, Rogers, Cox and Brock. The 49ers carried 5 cornerbacks last season, so 6 is a possibility. Anquan Boldin: Getting Boldin for a 6th round pick is a steal no matter how you look at it. But keep in mind this is not a cheap move by any stretch of the imagination. He will make 6 million in 2013. Boldin is a physical receiver and while he’s not the 100 catch pro bowler he once was, he is a nice compliment on the other side of Crabtree. One would also think they got Boldin with Seattle in mind. I don’t think it was in response to the Percy Harvin trade though. The Seahawk cornerbacks manhandled the 49er receivers at times last year. That won’t happen with Boldin. Still, Boldin is mainly a possession receiver and the offense will need someone to stretch the field and be a vertical threat in the passing game. With doubt about AJ Jenkins, this could be an area they address in the draft. Glenn Dorsey: Dorsey was signed to a 2 year/6 million dollar deal which could be a huge bargain. He was a dominant defensive lineman in college at LSU and came into the NFL with high expectations when the Kansas City Chiefs took him with the 5th pick of the 2008 draft. Dorsey was so dominant at the collegiate level he took home the Nagurski, Lombardi, Outland, and Lott Awards as a senior. He was seen as a player who could have a Warren Sapp like impact in the NFL but never lived up to expectations. Dorsey may be best suited as a 4-3 defensive tackle and could have been miscast as a 3-4 defensive end with the Chiefs. Now a 49er, the initial thought is he would be the starting nose tackle and could move to end if Smith or McDonald are injured or need a breather. At 297 pounds, Dorsey does not have the ideal size for the nose position (former nose tackle Issac Sopoaga was 330 for example) but he is very talented and could play bigger than he is. You could also see him playing inside with Justin Smith when the 49ers use four down linemen. The 49ers defensive line is a well coached unit and one would have to believe Jim Tomsula will get the best out of Dorsey wherever he lines up. But this move may signal a shift in defensive philosophy for the 49ers. The team may go to more of a hybrid defense that can feature three or four defensive lineman. Even if that is not the case, in today’s NFL, teams are in their nickel package a lot. In that scenario, you’re using four down lineman anyway. Justin Smith and Dorsey at the defensive tackle positions can be a dominant pair for the 49ers. It will be interesting to see where the Niners go in the draft at defensive line with three starters already appearing to be in place. Dan Skuta: The 49ers had arguably the best special teams unit in the league in 2011. The “Tony Montana Squad” was led by special teams standouts such as Blake Costanzo, Taveras Gooden, C.J. Spillman, and Colin Jones. The 49ers let Costanzo go and traded Jones before last season and the unit was not nearly as dominant in 2012. While they still did well covering punts, they were the NFL’s second-worst team from an opponent kickoff-return average standpoint during the regular season. 49er fans will remember Jacoby Jones running untouched to open the second half of the Super Bowl for a long time (I’m ignoring the obvious and ridiculous hold that occurred on this play for both my own sanity and to continue making my point). It’s obvious the 49ers are aware of their special teams lapses and feel the need to get it fixed. Enter Dan Skuta who signed a 2 year deal with the team. Skuta will fill the Balke Costanzo role as a linebacker who, unless disaster strikes, will only see the field on special teams. He was a standout with the Bengals, finishing 3rd in the NFL with 15 special teams tackles in 2012. The 49ers should be hopeful he cannot only fill Costanzo’s role on the unit, but also take on some of his leadership duties. Craig Dahl: Fans who have been hearing names like Charles Woodson, Ed Reed, and Louis Delmas as possibilities at safety must have starred blankly for a while when they heard the 49ers signed former Ram Craig Dahl to a 3 year contract. Dahl started at safety for the Rams in 2012 and recorded 78 tackles with 1 interception. Apparently, the 49ers told Dahl they had a specific idea of the kind of player who could “fit the mold” to play in their defense and also play a key role on special teams. In the NFL, you can’t afford to have All-Pro’s at every position because of the cap, but for a team that is ready to make another Super Bowl run this move would appear puzzling on the surface. According to Pro Football Focus, Dahl was the 78th-best safety in the NFL in 2012, missing 16 tackles and allowing 15.8 yards per reception. But I don’t think the 49ers see him as a replacement for Dashon Goldson. Dahl could be more of depth/special teams signing while the 49ers concentrate on free safety in the draft. 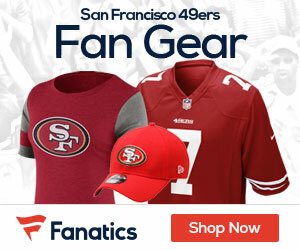 Be the first to comment on "49ers have taken a smart, cost effective approach to the offseason"